Magical views, white sandy beaches, crystal-clear turquoise waters and the 3rd largest coral reef in the world are waiting for you. Gather your loved ones and enjoy a barefoot luxury getaway in Turks & Caicos with up to 45% savings. Our best available rate and includes island-hop flights, airport transfers and daily breakfast. 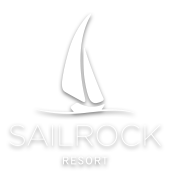 Sailrock Resort is South Caicos’ premier luxury resort nestled privately along the pristine beaches of the Caribbean Sea. Home to the third-largest coral reef and miles of undiscovered land, Sailrock Resort is the perfect setting for connoisseurs of authentic experiences. With Ridgetop Suites elevated above the shoreline and Beachfront Villas steps from the ocean, Sailrock Resort gives new meaning to unparalleled service, exclusivity and relaxation in a luxurious out-island setting. Enjoy from a selection of amenities along with prime dining options, secluded beaches, infinity pool, and the incomparable Na Spa coming early 2018. From corporate meetings to a romantic wedding celebration and everything in between, turn your next event into a memorable one.